As I announced in the July issue of the BJI, I will be retiring at the end of this month and this will be the last regular issue of the BJI. I again want to thank you for supporting the BJI, and my business partner Dan Pronovost, who did an excellent job managing our web site, our mailing list, and preparing and sending out the newsletter every month. I also want to thank our many writers who contributed over 1000 articles and reports in the BJI over the past 17 years. Thank you all. It is only fitting that the last issue of the BJI continues our tradition of presenting some great articles and tips to make you a better player. You'll read a report on the playing conditions and amenities at the Stratosphere and SLS casinos located on the Strip (by Stu D Hoss); a Thanksgiving Day trip report to Resorts Casino in Atlantic City (by Joe Freda); a summary of the best Las Vegas casinos to play double-deck blackjack games, including a list of all the casinos in Las Vegas that offer DD games (by KC Brooks); more of JPB's Top 10 Blackjack Opportunities; the proposed expansion of casino gambling in Pennsylvania (by Mark Gruetze); an insightful article on the result of Las Vegas taking a massive detour from casino gaming (by Nicholas Colon); an anatomy of a coupon run (by Paul Wilson); the fascinating story of how Frank Scoblete got started in his casino gambling career; Dunbar's analysis of video poker players who often lament "I should have quit when I was ahead", including how you should play to achieve a win goal; an analysis of the Double Up option on video poker machines, including an interesting story about this option that I bet you never heard or read about (by Jerry "Stickman"), and answers to reader's questions dealing with the poor casino games in Las Vegas; three rules to help beginners at video poker; and strategy tips for Mississippi Stud Poker (by John Grochowski). Note: All of the print books, and the video poker and blackjack strategy cards, and training CDs will be deleted from our online catalog at the end of December (anything that is shipped). If you want to order any of these shipped products at our discounted prices, you must do so NOW (I have a limited supply). (PS: They make great Christmas gifts for your friends, family members, and business associates who enjoy casino gambling.) Visit our online store here: http://www.deepnettech.com/estore/. All digital goods, including software and ebooks, will remain available for purchase. I will continue to write articles for 888casino in 2018. You can read them by going to www.888casino.com/blog. 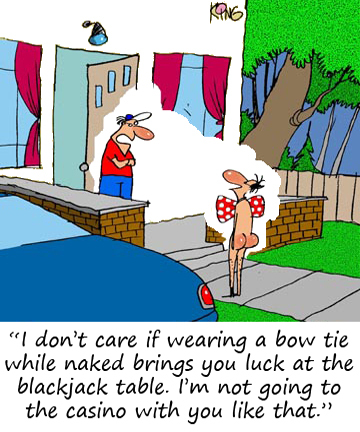 You need to understand the risks involved in playing blackjack if you want to be a successful player. This great primer on risk, written by Bill "The GameMaster" Channels, appeared in issue # 156. The two eBooks in this series are the bible for tournament players. Both are jammed packed with strategies that can give you the advantage over your opponents in a blackjack tournament. Both volumes were written by Kenneth Smith, one of the most successful blackjack tournament players of all time. We are having a sale on Kenneth Smith's outstanding tournament blackjack strategy e-books. You can purchase Ken's e-book for only $9.95 (regular price is $14.95). Or, you can buy both of Ken's Blackjack Tournament e-books for only $19.95 (save $5). Remember, this is a limited offer! For details on the e-books, or to order, click here. This offer ends January 15th... buy now! "This month found me on the formerly fabulous Las Vegas Strip once again; this time, even further north than last month's entries. Yes, there is life north of Mirage and TI, true believers..."
"For the final edition of Blackjack Insider, I opted to make one last journey to Atlantic City and enjoy Thanksgiving weekend at Resorts Casino Hotel. Here's how my trip went..."
"As I have written in my previous articles in the BJI, I play primarily double-deck games; therefore, I will reveal to you which casinos in Vegas offer double-deck games and which ones have the best rules..."
"Pennsylvania will start dealing online blackjack, poker and other casino games next year as a far-reaching gaming expansion takes effect. In addition to iGaming, the new law regulates several other forms of gambling..."
"In this final article for Blackjack Insider, I have written a two-parter that recounts my 10 best opportunities for blackjack advantage play that I encountered over the past 15 years. In most cases..."
"In this month's Paul's Pointers, I'm going to examine one of the primary ways to extend your bankroll and save money on your other casino expenses by using coupons..."
"Las Vegas has taken a massive detour from casino gaming. The overwhelming amount of revenue that gaming-center cities generate is no longer from gambling, but from..."
"I also knew that casino gambling offered me a new life because I was becoming disenchanted with theatre, disappointed with my relationship with my partner, disenchanted with my life, my wife, my future - in short, I was a kind of Joe Grady, the very character I had played, looking to get out..."
"How many times have you heard someone in a casino lament, 'I should have quit when I was ahead'? How many times have you said it yourself?! In this article, I want to look at what happens if you DO stop when you're ahead, specifically..."
"The double up feature has been around for decades. In fact, it was much more prevalent years ago than it is currently. The following true story could be the reason why..."
"Read the answers to reader's questions dealing with what to do about the poor casino games in Las Vegas; three strategy tips to help beginners at video poker, and a strategy tips for Mississippi Stud Poker..."